Finally - all the dwarf planets are accepted as such and have been awarded real names! did you name the moons . you found them. What name did the Spanish team propose? According to the Planetary Society (http://www.planetary.org/blog/) blog the Spanish group proposed Ataecina, an Iberian goddess. "Back when I thought that maybe the IAU was going to vote that anything the size of Pluto or larger was a planet I was going to argue that Santa was indeed a planet – as long as you looked at it at exactly the right angle (luckily, the IAU was much more sensible, so I did not have to make such a crazy argument)." No, wrong again: the IAU was not much more sensible but much less so. If this object is a dwarf planet, then it is a planet. I'm assuming that in giving it dwarf planet status, the IAU has confirmed it is in hydrostatic equilibrium. If you're looking for posterity to decide, it's much more important that the definition stating that dwarf planets are not planets at all be overturned than that we find out who discovered EL61 first. The former is a question regarding the nature of this object; the latter is nothing more than a battle of egos. An object in hydrostatic equilibrium orbiting a star is a planet. Sorry, but you will have to make this argument for EL61 after all, whether now or in 2015. Laurel: "that we find out who discovered EL61 first... is nothing more than a battle of egos." Easy for you to say. Imagine spending hours and hours studying the sky and then finding an object. And then spending months calculating the object's orbit an properties to confirm what you found, only to have it scooped by someone spying on your observations. Imagine Clyde Tombaugh spending much of his life studying photographic plates to eventually find Pluto. So if a janitor at Lowell looked over his shoulder and ran to the papers saying that he found the 9th planet, any protest by Tombaugh would be his "ego" talking? You might be surprised to learn that I would be perfectly happy if you called dwarf planets "planets." But, of course, I am also perfectly happy if you do not. As I have written in detail, the science is all in the classification. The 8 planets are significantly different than the many many dwarf planets. Once that distinction is made, I don't care what you call them. We could call the 8 big things "grogs" and the other 50 round things "bloogs" and it would not matter to me. Classification is science. The rest is culture. I make no claim to know what it is best for culture to do. I do have to object, though, to your contention that the naming rights are only about egos. I actually think that in this case it matters to take a stand against what appears to have been [to me, at least. you are welcome to a different opinion] scientific fraud. If we scientists allow fraud to occur with no sort of sanction we have lost any authority that science confers. This matters. This matters alot. It occurs to me that since your group discovered the two moons, you would presumably have had naming rights. Since it would be pretty weird to have a dwarf planet named after an Andalusian goddess with two "Hawaiian" moons, I can see why the IAU would have opted for your name for the planet as well, whether they believed you made the discovery or not. In fact, I kind of suspected something like this would happen, sooner rather than years from now after much wrangling. So do we know what is planned for getting the other TNOs categoried as dwarf planets? Will Sedna, Quaoar, Orcus and Ixion be classified as dwarf planets soon? I think the IAU (and even Mike Brown) are making a logical assumption that Haumea is in hydrostatic equilibrium. Since this plutoid has known moons, the mass can be more accurately determined (though size and thus density are more of a best guess). With the fast rotation rate, the less dense it is, the more distorted it will be. Given Haumea's weird shape, if Haumea did not have any known moons, (and thus would have a very unknown mass), I am not sure if the IAU (or Mike) would have given Haumea plutoid status this quickly. The Kuiper Belt is still a very unknown region of the solar system. We still have yet to demonstrate the compositional difference between a comet nucleus like Hale-Bopp (40km in diameter), a centaur like Chariklo (258km in diameter), and a plutoid like Eris. 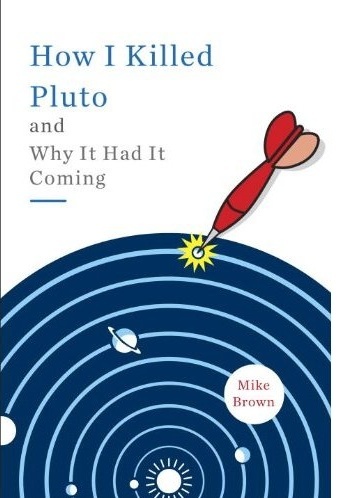 Mike, I'm happy to hear that you would be comfortable with categorizing dwarf planets as a subclass of planets. The classification scheme that would keep the term planet broad to refer to any object in hydrostatic equilibrium orbiting a star does in fact make room for distinguishing objects based on various factors including dynamics. So dwarf planets are planets but small ones that are not gravitationally dominant. This is far better than the IAU definition you describe as "sensible" because that one ignores what objects are and classifies them solely by where they are. Having thought about the naming rights issue, I agree that it is not just about ego. However, if you have a problem with scientific fraud, then you should not be so willing to accept the IAU decision, which was made in violation of the IAU's bylaws (resolutions are supposed to be vetted by a committee in advance, not introduced in real time) by only four percent of its members through what was essentially a hijacking of the vote by dynamicists revolting against the original definition the IAU's own committee proposed. As far as posterity, I'm the same age as you, and I plan to be around to see this IAU travesty undone. Maybe that means I'll see the naming rights controversy about Haumea resolved as well. Laurel: I'm glad you came around about the naming rights issue. And I agree the IAU should have determined its decision on the proponderance of the evidence and officially awarded the discovery to Mike Brown. The compromise should have been simply not sanctioning the Spanish team, which they should. It's been 10 more years, any updates at all on this controversy? The arguments over priority and naming put Haumea in good company: that of Neptune. Your naming got settled faster, at least. Do we have any more observations, orbital data, or occultation data on Namaka? Namaka is, of course, the moon that I wrote all about back in the spring when searching for moon shadows (see here. In the past few months we have gotten a better orbital solution and we think the occultations might occur for a few more years (!). We will try again in the spring to see what we can see! Finally, finally, finally! Here's to license plate numbers! May they serve their purpose more quickly in the future... Congratulations Mike, I think the name is wonderful and clever. I don't mean to change the subject, but speaking of dwarf planets without names, I have been wondering about 2002 AW197. I notice that of all the large objects you have discovered, you don't have a page on your website about this one. Is there a reason why? I have not heard too much about it since it could be one of the next candidates to be named. The astrology community thanks you for something positive to work with. Joy. I'm still waiting for Lilah though! A question: since there are other KBOs thought to have originated from Haumea after a massive collision, will these now be given Hawaiian names as well? I suppose they'd be like children who left home. the goal is to name them specifically after other children of Haumea, though we will eventually run out! Finally - I am glad that the Hawaiian name was chosen, I like it. Congratulations, Mike. I'm a bit surprised that this object received dwarf planet designation due to its odd shape. How can we be sure it is in hydrostatic equilibrium? Being in a state of hydrostatic equilibrium is a requirement for an object to be designated a dwarf planet. Was this designation premature? Without space missions it is almost impossible to certify 100% the hydrostatic equilibrium but one can get a fair assessment from size and mass. The uncertainties on size for most candidates to dwarfplanethood remain huge though. It would be great if more star occultations could be studied (like the occultation by Pluto Mike Brown has participated to - see "Occult Sciences" on this blog). For Varuna-sized or 2004XR190-sized objects, astrometry will be crucial though to be able to predict where the occultation spot will pass on Earth. Perhaps when astrometry improves (e.g. with Gaia mission), astronomers/planetologists may carry out more star campaigns occultation on 500-1000km sized objects. Hi, do you remember what time it was on Dec 28 2004 when you discovered Haumea? Speaking of elongated spheroids what is the latest word on Varuna (Source: Jewitt and Sheppard 2002)? Any reason to still suspect that it is also a triaxial ellipsoid with a rapid rotation peroid? Or is it more likely to be a contact binary due to the smaller size? Mike, why the IAU-CSBN don't choose a neutral name for 2003EL61 neither Ataecina nor Haumea? Many congrats on your latest discovery! I am an astrophotographer based in Athens, Greece and I would like to image our fifth dwarf planet. However, I have been unsuccessful in locating the J2000 coordinates for Haumea. Are the coordinates for Haumea now public record or are they still classified? If the former, I would be grateful a lead in this regard. Thank you and congrats once again! The ephemeris service at JPL was very helpful. I will send email when I have results. I had proposed a neutral name for Haumea but it wasn't used. I never turned a telescope on the object. But I did use GravitySimulator on it. I believe it's the lost moon of Triton so I proposed the name "Rhode", who in Greek mythology was the sister of Triton and the godess of the Island of Rhodes (think "The Colosus of Rhodes). This was ignored, of course, but that's OK. I cheerfully accept the name Haumea (actually it's pretty good)and gleefully accept the plutoing of Pluto. I think Pluto, Triton, Haumea, and Eris aren't planets, they belong in an even more elite club - surviving Lagrangoids formed in an L4 or L5 point. I have thought for some time that Triton must have had a lost moon or it could not be captured into it's backwards orbit around Neptune. I set up simulations with binaries consisting of two Triton masses orbiting at various distances (12,000 - 50,000 km)flying past Neptune at a distance similar to Triton's orbit today (it was kind of hard to aim. Sometimes one would be captured. It would do this by transferring momentum to the other member of the pair which would then be propelled away; a gravity slingshot. This is capable of propelling the departing object about as far as (sometimes more than) the distance of Eris. At that point I thought maybe Eris was the lost moon of Triton. After a few simulations, there was only one object after the flyby. I said, "where is the other one?" But checking the mass of the object showed it was twice the mass of Triton. By that time I was beginning to learn the simulator. Practice makes perfect in everything. I set up a standardized start for the simulations and saved it. But I added a few kilometers separation between the two simulated Tritons. Observation had showed me what to look for, and that was the angle formed by the centers of mass of Neptune and the two Tritons at closest approach. If at that point they form a straight line, you get maximum launch velocity for the escaping object. However, if the three objects form a right angle, in other words one Triton follows behind the other, then apparently Neptune cancels their rotation with repect to each other. There is no centrifugal force to counter the two Tritons' gravitational pull and they collide. By this time I had noticed the similarites in the four objects. Pluto and Eris are the same size. Triton is the mass of Pluto plus the combined mass of Uranus's major moons. Haumea has apparently been stripped of it's ices. It is a little smaller than the stripped core of Pluto so apparently it might have lost some stone, too. The "Iron Dwarf"...I like it! I got scooped on this by Craig Agnor and Douglas Hamilton, who got the simulations done and published in a peer reviewed journal and get credit for the idea. I was expecting this and congradulate Agnor and Hamilton on a job well done. They did postulate a moon kind of like Charon to carry away the excess angular momentum to get into orbit and I wasn't able to get around to how large the mass must be to effect capture, I simply assumed that binaries formed in the Sun/Neptune Lagrange points L4 and L5. Mike, you should take a good humor at getting scooped. Now, Ortiz's discovery photo undeniably exists. Marsden published a how-to for comet hunters in Sky & Telescope several years ago and he said that the first thing you were supposed to do is see if it has been discovered by somebody else. Ortiz just got a little creative, that's all. If he wanted to look at your logs, how would he know to do that unless he had discovered it himself? He might have thought it was a nova or something when he first looked at it and put it aside when he couldn't find it again. Somewhere in the back of his mind is, "look for news from that part of the sky". All this is a legitimate part of the discovery process. Incidentally, I looked at Ortiz's observing logs. He was at the telescope that night, making a "calibration run". The rules for discovery credit were set up for amateur astronomers, since historically it is they who have discovered the most comets. Comet hunting is a horserace to see who gets a coherent report in first. Most comets have two names. They decided not to do that with Plutoids. But they must put, for posterity, tha name of the winner of the horserace, and that was Ortiz. It'sreat the 2003 EL61 has a proper name. Whilst I get the gist of dwarf planethood being an object massive enough to form a spheroid, does mass also play a part? Take Mercury, Ganymede, Titan & Callisto. Those four are almost identical in size & all four are spherical. Yet Mercury is in heliocentric orbit & has approx twice the mass of Ganymede. Ganymede & Callisto are in Jovecentric orbit & Titan in a Kronecentric one. If lets say all four were in heliocentirc orbit, would all four be considered major planets, or would Mercury be considered the only one of that size due its far greater mass owing to the largwe density of Iron & rock as opposed to rock & ice for the others (though Ganymede may have a dual layered metal core like the Earth)? I suspect there will be similar anomilies in the KB population. Eris is 27% more massive than Pluto, yet 5% larger (evidence that Eris is denser), Haumea appears to be dense, yet Quaoar appears to be icy? Mr. Brown is a liar. He is decided to obtain posterity for itself and for the states united, nor that is cheating. I say that is a liar for not saying things worse, since well he knows that the true name of the dwarf planet should be Ataecina, as it proposed for the Spanish Team. And if it doesn't worry, I'm not a displeased Spanish, I'm a conscious man that there are also liars in the astronomy. I suppose there is no way to convince you otherwise, but I try very hard to be honest about which parts of this story I know to be true, and which parts of this story I have to guess about. You can, if you wish, simply dismiss it all by declaring me a liar and there is not much I can do about it, but I think that if you open mindedly examine even just the facts that everyone agrees to you would likely find that I am being pretty straightforward about everything. I found the situation both personally and professionally painful, and I really really hate having to be confrontational to people who are supposed to be colleagues. But, in the end, I hate what seems to me to have likely been fraud even more. I know that these days there is no particularly reason to believe anything that anyone says or posts, so I can't imagine why you would ever change your mind, but I would encourage you to consider, for just a minute, that perhaps I am not a liar, and what the implications might be. Congratulations to Mike Brown and his team and to the imaginative Spanish that tailed in on Brown's observations. The list of newly known planets is growing for the Solar System, as skill and technology increase. Thanks to the plain use of English, Iris, Haumea, etc are still 'planets' and since we no longer think of the big 8 in the same way as the original name 'planet' described them as 'wanderers' perhaps we can accept that 'planet' is fine for English usage and in places where Germaic forms of compound nouns like 'dwarfplanet' are not used (red ducks are still ducks!). The term 'plutoid' seems ok and avoids the problems associated with the term 'pluton' that was already in use by geologists and geophysicists in another scientific context. Pass that on to the IAC with my slap on the wriost for the UGS in supporting te Spanish bagging of the first-sighting. Further Comment... stealing the work of others in order to beat them to announcing new work is not confined to astronomy or science. I am a Theologian and when doing work for my PhD I was obliged to give a seminar on my work-in-progress. Students and staffers attended the seminar. One nice gent picked up on my research and mentioned to one of his students (studying at a lower degree level but a well known friend of mine) that she might follow a certain line of reasoning in one of her papers, giving her my new views that were then unpublished work-in-progress. She published and grabbed the fame. Hmm, sounds familiar.... also, to rub salt into the wound, she is employed, I am not - no comparable published "new" work!! They ordained her into Ministry. "February 4, 2009: In 1996, a 7-year-old boy in China bent over the eyepiece of a small telescope and saw something that would change his life--a comet of flamboyant beauty, bright and puffy with an active tail. At first he thought he himself had discovered it, but no, he learned, two men named "Hale" and "Bopp" had beat him to it. Mastering his disappointment, young Quanzhi Ye resolved to find his own comet one day. Comet Lulin, named after the observatory in Taiwan where the discovery-photo was taken, is now approaching Earth. "It is a green beauty that could become visible to the naked eye any day now," says Ye." It's worth following the link to this article if for nothing else but the beautiful photo of the comet taken by amateur astronomer Jack Newton. The comet displays a soft green halo about the size of Jupiter; it has a discernable shape, sort of an ellipsoid. This cloud is of course very thin and the glow comes from cyanogen and diatomic carbon, C2. My stepfather was stationed in Taiwan during the Cold War when I was about Lilah's age. The Communists shelled the tiny islands of Quemoy and Matsu, and the ominus rumble of Ivy Mike shook the South Pacific and the world. "Ye notes that Comet Lulin is remarkable not only for its rare beauty, but also for its rare manner of discovery. "This is a 'comet of collaboration' between Taiwanese and Chinese astronomers," he says. "The discovery could not have been made without a contribution from both sides of the Strait that separates our countries. Chi Sheng Lin and other members of the Lulin Observatory staff enabled me to get the images I wanted, while I analyzed the data and found the comet." "I hope that my experience might inspire other young people to pursue the same starry dreams as myself," says Ye." "To be fair, though, I don’t think there is any way to ever know the full extent of the truth, except on the off chance that someone on the Spanish team eventually spills the beans about what really happened. I keep waiting"
If you do not recognize this as "spills the beans about what really happened" then maybe you are only waiting to hear that you are right. PD: The article explaining the Spanish team's version finishes with the words: "el pez grande se come al chico" (the big fish eats the small one). Either referring to CV, budget, lobbying or ego, it gives us all something to think about. I have indeed read that posting before. Sadly, it is impossible to know whether to believe it or not. The Spanish team were not particularly forthcoming until finally confronted with the facts. They then tell a story that involves some pretty astounding coincidences and makes them out to be the victims. Is their story impossible? No. That's why I will never be certain what really happened. I think, to be fair, no one will ever know for certain, accept for the Spanish team themselves. Congratulations on the naming victory. I'm researching Haumea for my Earth and Space Science class and even though the controversy is unfortunate perhaps it will make my classmates pay better attention. I enjoy finding out more about the 5th dwarf planet with every step and I'm grateful that you brought so much wonderful information about it to light! I will obtain a follow pair of images a week after these two results were taken so that there will be a nice illustration of the very slow apparent movement of these two dwarf planets. The particular story of a discovery of a new object is always meaningful. In the case of Haumea was very helpful to understand its meaning. I'm a little confused about something. Why is Haumea shaped like an American football? (I live in England, so the other planets would be "football" shaped to me, although I am, ironically, part Spanish. :P) All the explanations I've heard are about Haumea's extremely rapid rotation - surely this would cause it to "bulge" out at the equator and make it more like a squashed British football than an American one? Why is Haumea long in one dimension and flattened in two, instead of being long in two and flattened in one? Here's how it works. No spin, you get a sphere. A little spin, you get bulges (kind of like a flying saucer, or, as you say, squashed [European] football). Spin more, though and something funny happens. Sadly, this is non intuitive. I will have to ponder to see if I can come up with a good demonstration. When you spin past a certain limit, the flying saucer shape is no longer stable and one long axis grows while one long axis shrinks. At this point you have a "Jacobi ellipsoid" which is a 3D ellipse where all three axes are different sizes. Does that help? Uhhhh. Probably not. But I will ponder to see if I can do better. Ahh, thanks. While it doesn't explain it intuitively you're at least the first to tell me it should. Would showing it more clearly involve complex mathematics (I'm still in the first year of my degree, so I might not be ready for that level of maths yet!) or is there a physical reason you can explain in plain English, or an empirical example you can come up with? Besides Haumea itself, of course. 2003 = SEDNA is discovered - Mike Brown "You"
Based on both published observations, which happens to be 24 years apart, one using sumerian tablets (Sitchin), one using modern science and technology (Brown), both suggest a planet that share identical apogees, but different perigees. (55565) 2002 AW197 uses the art of the stratagem in problem-solving, like the strategic therapy used by Prot with Howie in the movie "K-pax" (2001). Wich will be its official name? If Haumea was half rock (core) and half icy mantle, how large was the original planet before being struck by a comet or other KBO passing recklessly through the neighborhood? It would have been quite a bit larger than Pluto and Eris; but even so, it is still impressive. Haumea would have been the largest of the known KBO planets, although it may not have any satellites. Now we know what a rocky core looks like. It appears to be to massive to shatter by just any KBO. What do you think happened to the KBO that struck Haumea, i.e. did it shatter into tiny shards and scatter into the KB or was it incorporated into Haumea? Did the icy mantle absorb all of the impact or is there evidence (crater, cracks, foreign material etc.) on Haumea, of an impact? What do we know about 2007 OR10 (225088)? There appears to be differences in surface composition with some planets (Makemake and Sedna), that may appear reddish, like Mars, but most others, except Haumea, appear to be dirty snowballs or what I like to call them, "spacebergs." Does 2007 OR10 have any distinguishing features or does it look like most KBOs? Any names for this one, we like names? The codes you use are too difficult to remember and are too cold (pun intended). @George: Be sure to read "Snow white needs a bailout" somewhere around this blog. It is all about Snow White = 2007 OR10. We just got some fabulous data on 2007 OR10 but haven't fully digested it yet. Stay tuned for answers. I hope. If Haumea had an icy crust when struck by a disfiguring KBO, then how does a presumably solidified rock mantle become elongated (ellipsis)? Was Haumea's mantle molten rock when struck by the passing KBO and if so, how can ice form on molten lava-like rock? Presumably, a comet or other KBO struck Haumea when it had a thick crust of ice, like Pluto, so my question is "was Haumea's mantle solid (solidified rock as it is today) or was it molten, like a blob of lava? If the latter is true, then where did all that ice come from? Was the mantle molten rock and just the outer portion, just under the icy crust, solidified and cold enough to keep the ice from melting? It was said that ice debris (presumably from Haumea's pre-cataclysmic impact or graze by another KBO), was found in the area around Haumea, why has it not been tugged back to Haumea via its gravitational pull? The primary planets in the Solar System are: Mercury, Venus, Earth, Mars, Vesta, Juno, Ceres, Pallas, Jupiter, Saturn and Uranus. I just finished reading your book "how I killed Pluto..." and the most fascinating part was the controversy about the Spanish astronomers. It seemed to me that the book was written in part in order to rant about it. However, in my opinion, as someone who had no previous knowledge of this controversy until two days ago when I read that part of your book, you failed to convince and actually you came out worse than you probably think. Your arguments are, at the most, as convincing as the ones presented by the astronomers in Spain. It seems you expect to win the argument simply because you have a better research record and work at a more prestigious institution. Apart from the Spanish team being, in your opinion, an underdog, I see no reason why you should be attacking them over and over. At the end, your plan of hiding data in order to maximise your benefits failed and turned against you (by not understanding how the WWW works), but you prefer to blame the other people instead of taking responsibility. Maybe your ego does not allow it? My apologies for joining in this debate three years after the last post. I just finished reading Professor Brown´s book, which i have enjoyed a lot, it´s clear, easy to read, and truly entertaining. To the point. Regarding the problem with Haumea discovery, something i didn´t know anything about until i read that chapter, my feelings were of complete embarrasment. I fully disagree with your point of view about it. I´m spanish, i know how underfunded science is in my country, and i can clearly spot a "chance to make a great discovery on someone´s else work" when i see one. We have a saying in Spain: "if it´s white and it´s bottled....then it´s milk", that perfectly fits this controversy. "Simultaneous" scientific/mathematical discoveries have happened in the past, not because one of the discoverers had spied on the other´s work, just the subject was ripe for a clear mind to develop the hypothesis/theory, and there´s not a single clear mind at any given spot in time. Coincidences happen (there´s a ruder way of expressing it, if you follow me). But in my opinion, in this case there´s no coincidence, no chance of simultaneous discovery, ... computer logs showing who accessed that database and when, the precise timing of these records and the announcement, the subsequent accesses to the data, and the lack of immediate response from Ortiz when challenged (we spanish tend to immediately become bad tempered when challenged), clearly shows trickery from the spanish team´s side. I don´t need a degree in psycology to spot it. And i feel embarrased. That´s not the science i want in my country. As of your way of putting it down, i don´t see a reason for being that rude and going personal but, what do i know on anyone else´s intentions? Mark Pole: having your work stolen from you and then pointing the finger at the thief is not about ego, it's about justice. And it's not just about Professor Brown, it's about scientific ethics in general. It doesn't matter how the Spanish team stole the discovery of Haumea, it just matters that they did.